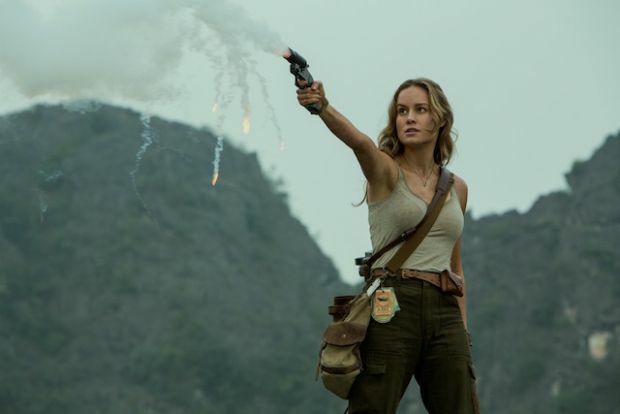 Warner Bros. Pictures and Legendary Pictures’ Kong Skull Island reimagines the origin of the mythic Kong in a compelling, original adventure from director Jordan Vogt-Roberts (The Kings of Summer). In the film, a diverse team of explorers is brought together to venture deep into an uncharted island in the Pacific – as beautiful as it is treacherous – unaware that they’re crossing into the domain of the mythic Kong. 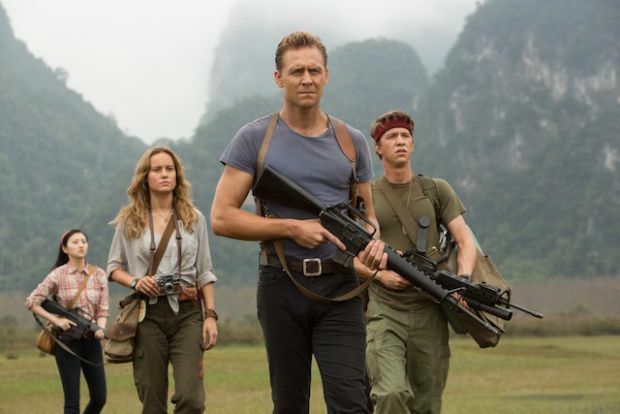 Kong Skull Island stars Tom Hiddleston (The Avengers, Thor: The Dark World), Samuel L. Jackson (The Hateful Eight, Avengers: Age of Ultron), Oscar winner Brie Larson (Room, Trainwreck), John Goodman (Transformers: Age of Extinction, Argo) and John C. Reilly (Guardians of the Galaxy, Step Brothers). The international ensemble cast also includes Tian Jing (Police Story: Lockdown), Corey Hawkins (Straight Outta Compton), Jason Mitchell (Straight Outta Compton), John Ortiz (Steve Jobs), Thomas Mann (Beautiful Creatures), Shea Whigham (The Wolf of Wall Street), Toby Kebbell (Dawn of the Planet of the Apes) and Eugene Cordero (The Kings of Summer). Vogt-Roberts is directing the film from a screenplay by Max Borenstein, John Gatins, Dan Gilroy and Derek Connolly. 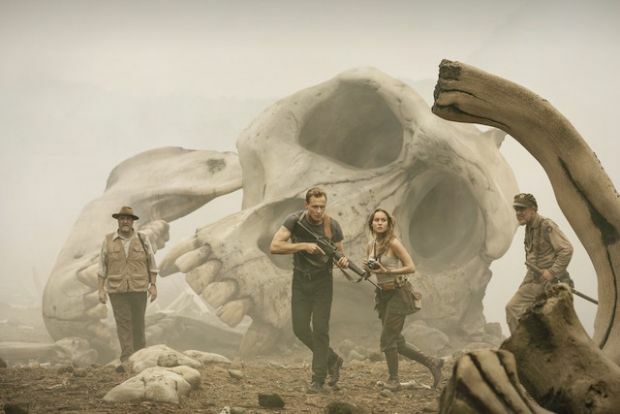 Kong Skull Island is produced by Legendary’s Thomas Tull and Jon Jashni with Mary Parent. The executive producers are Eric McLeod and Alex Garcia. The creative behind-the-scenes team includes director of photography Larry Fong (Batman v Superman: Dawn of Justice), production designer Stefan Dechant (supervising art director True Grit, Avatar), editor Christian Wagner (the Fast & Furious films), and costume designer Mary Vogt (the Men in Black films). The team also includes Oscar-winning makeup supervisor Bill Corso (Lemony Snicket’s A Series of Unfortunate Events, Star Wars: The Force Awakens) and supervising stunt coordinator George Cottle (Interstellar, The Dark Knight Rises). 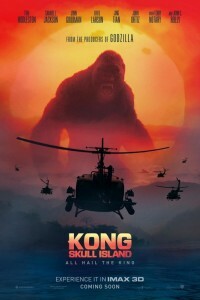 The legendary Kong is being brought to life at a whole new scale by Industrial Light & Magic, with two-time Oscar winner Stephen Rosenbaum (Avatar, Forrest Gump) serving as visual effects supervisor. To fully immerse audiences in the mysterious Skull Island, director Jordan Vogt-Roberts and his cast and filmmaking team are filming across three continents over six months, capturing its primordial landscapes on Oahu, Hawaii – where filming commenced on October 2015 – on Australia’s Gold Coast, and finally in Vietnam, where filming will take place across multiple locations, some of which have never before been seen on film. The last time King Kong appeared on big screens was in the 2005 Peter Jackson film King Kong, which took in a gorilla size $218,080,025 at the U.S. box office.